Do you know someone who has high integrity? That person seems to stand out because integrity can be such a rare commodity. Integrity is a gift you give yourself. How? By making the day-to-day choices and decisions that shape a strong character. Integrity is shaped in the small choices we make when no one is looking. I believe it works like this: Choices shape our habits; habits shape our character; our character results in our integrity. Then our integrity shapes our choices. A nice circle to live in. Here’s a little-known fact about many of our suburban neighborhoods. Most people do not know the names of their next-door neighbors or the people across the street. That is a frightening fact. We’ve gotten so caught up in rush-rush-rush that many people have no real sense of community, which provides a sense of place and of belonging. Knowing your neighbors is also a safe thing to do. So, whether it is in your neighborhood, a place of worship, a club or other group, create, build and maintain a sense of community in the coming year. If you want to achieve anything worthwhile in life, you must have persistence. Persistence is often confused with stubbornness, but it is not the same. Stubbornness is banging your head against the wall trying to do something in the same way that does not work. This is also one definition of insanity. Persistence is continually trying new and different solutions, as many as it takes and as long as it takes, to reach a worthy goal. Would you intentionally drive your car until it ran out of gas? Though many of us have done this accidentally, it does not make sense to do it on purpose. So why do we do the same thing to our minds and bodies? Many of the most successful people I know have forgotten how to rest. I usually recommend they take an entire day to rest, recover, recharge and reload. Rest is not laziness. It is wisdom in action. So, rest. Many people seem to stop learning after they finish school. After a while, I wonder if the brain begins to die or just dry up. Make it a goal in the new year to develop a new proficiency. Take up a sport; upgrade your computer skills; start a hobby. I wonder how much more we would enjoy life if we developed one new major proficiency a year? Life can be discouraging. We can so easily lose our way. Whether it’s a good swift kick in the pants or an arm around a shoulder, I bet there is someone in your life who could use your encouragement. Why not give it? Richard Bach said “perspective – use it or lose it.” Isn’t it easy to lose perspective? With the events of this year, our perspective has been altered in many ways. Pay attention to how and about what you complain. Is there something to appreciate hidden in there? There’s no such thing as a complaint without something to appreciate, or at least get started on changing, hidden inside. Many of us live with so much clutter in our homes, in our jobs, and thus, in our minds. Clutter creates disorganization, which creates chaos, which is a significant contributor to anxiety and depression. Getting rid of clutter frees up our time and our minds to live the rest of life. If you haven’t used it in a year, and it’s not a family heirloom, throw it out. Handle mail and other papers just once. Make some files, organize your desk. At least clean out a drawer. You will feel lighter. Consider the things you have freedom from, and consider the things you have freedom to do. What new freedoms will you create in the New Year? For our purposes, a BYE stands for Best Year Ever. As we enter into a new year, many people are pulling back on their dreams and other things they want to do. Instead, why not commit to making the daily choices and decisions that would give you the best year ever? Imagine how you would feel one year from today. This was really a great reminder. For the most part these are all things within our control we can choose these gifts daily. The one that most stood out to me is The Gift of Community (though all the rest are great too). I've just moved from a city 10 times larger than the one that I am in now. The first month or two it seemed as if I was constantly meeting new people – now I think I have reverted to my big city ways and have started to keep to my self because I work at my computer from home. Your post was a great reminder to get out and "social network" in my town – a little Montana Snow won't hurt me! Two speak to me – Integrity and Perspective. To always seek to live in integrity is a great gift to everyone who knows you. To keep you perspective is a great gift to yourself. Merry Christmas everyone and let's live in integrity and keep our perspective in 2009. Wonderful article Jeff. Many of your points hit home with me, but taking the time to rest was probably the one I most needed to hear. Really awesome stuff Jeff! For me, I will focus most on the gifts of Encouragement – particularly for my 15-year old son, New Proficiency – I'm learning to PhotoRead! (it's like speed reading on steroids! ), and Declutterization – I've been a bit of pack rat over the years. Great words of wisdom for a beautiful Christmas day. I especially liked your comment at community as building stronger communities is exactly what my community magazine franchise business does. Thanks! 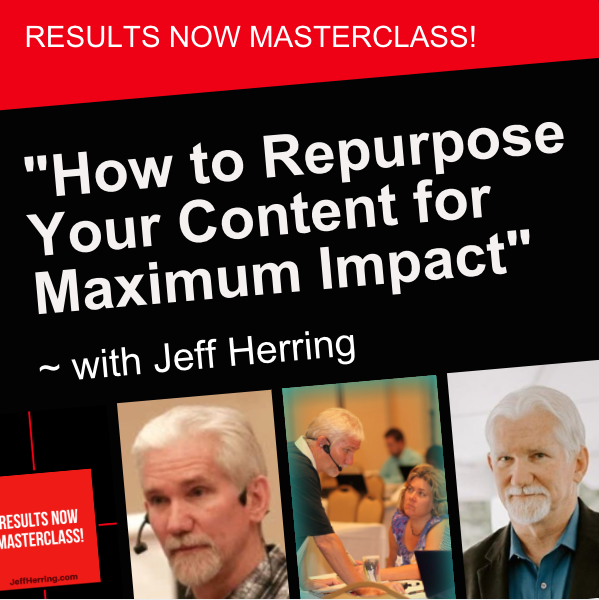 Merry Christmas Gina, it looks like we share some common interests in Jeff's post, particularly, Declutterization – a life long challenge, Encouragement – the foundation of my coaching practice and PhotoReading. I wonder if you would want to share your experiences with PhotoReading? 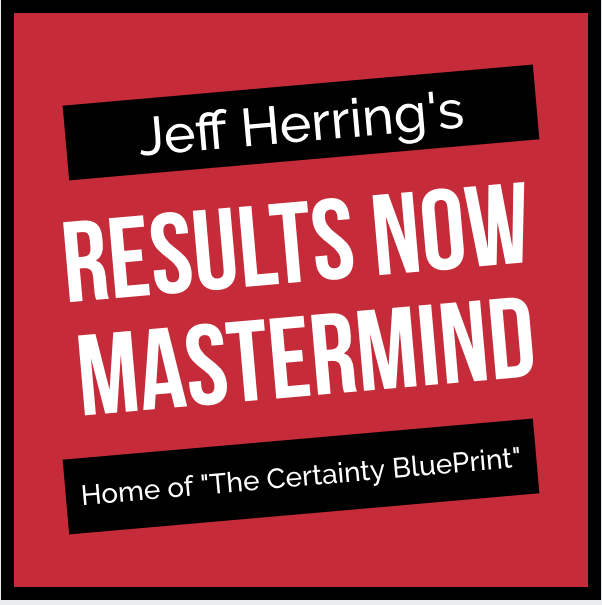 I could use some encouragement in that area 🙂 You could contact me through Jeff or at my website http://www.prosperingtimes.com. Thanks Charles. Nice to "meet you." I looked at your site. I am very impressed by what you are doing. I am also an engineer by education – Industrial Engineering from Georgia Tech, undergrad. Also interested in all things having to do with science and technology. Regarding photo reading, I am just getting started. I have the home-study course. I actually met Paul Sheele and his wife last year. Very nice people. One of my good friends does it and he literally reads huge books in about 1-2 hours EVERY day – the WHOLE book. It is amazing. One of the ways to really get into it is to take the actual live course. Immersion with follow-up implementation is key. Wow Gina, it looks like we have more in common than I realized. I took the live course and really enjoyed it. I have done it off and on for a year but I have not learned to trust myself yet and I haven't gotten the benefit of the activation process because I fall back on old habits if the information is very important to me and if it isn't, I often forget to activate because I get a lot from the preview, dipping and skittering. Where are you in the process? If you like I would enjoy partnering with you with the intention for both of us to expand our skills. I love the Gift of the BYE – it's a great reminder that we can create our life as we choose and not turn up our toes and give in to the current economic tides. To the Best Year Ever for all of your fans! The one that spoke volumes to me was integrity. I truly appreciate people who live their lives in truth and are not pretending to be someone other than who they are. These are the people I can trust and I would hope that they can see I try to live my live with as much integrity as I possible can. I really enjoyed reading your post today. I like reading things that make me think. Thanks. I am so looking forward to learning from you in the New Year. Great stuff! Next week we're working on the gift of declutterization. I would only change one thing you said — don't throw that stuff out if it can bless someone else. We're making trips to the library with excess books that need a new home and to the hospice thrift store for everything else. Also I've become more aware of the gift of perspective, particularly regarding work. Some more balanced choices are being made for next year. Definitely will feel like a gift! It's going to be a great 2009! What a wonderful Holiday Gift for everyone. It's difficult to say which one speaks to me the most because they all do. Persistence is a trait that separates the people who become successful and those who do not. We all have the capability. Unfortunately, not everyone has the bounce back ability to overcome obstacles and that is key to moving forward. I also wish everyone a BYE. We will all shine in 2009! I thought they were all great but the one that stood out most to me is the Gift of Community because it is something I am needing to get better at myself especially during the winter months when I go into hibernation but plan to make this next year the BYE! Catching up on emails this morning and wanted to agree with the rest that all of the gifts are wonderful and needed. Also, a quick note for those of you who haven't been around Jeff for very long, know that this generosity of heart and spirit flows all year long. I hope you all had a peaceful, joy-filled Christmas. I'm definitely looking forward to my BYE. Great gifts all – I'll focus on Perspective, because as long as I maintain a clear vision of my goal I know that I'll reach it! The gift of declutterization speaks to me. It's time to let go not only of things that no longer serve me but also thoughts and beliefs that don't support my having the Best Year Ever. Thanks for all the gifts. Integrity-big importance to me. Community-needed in the times we live in. My dad recently told me how my g-pa knew his neighbors well enough to know when someone had lost a job,was sick, etc. He made sure he took care of his kid's needs, but whatever was left over from their meal, pocketbook, or whatever he had went to his hurting neighbor. My g-pa often didn't have two nickels to rub together, but he always was able to help others. I think too many of us don't know who our neighbors are anymore, let alone if they need help we can give them. My desire for 2009 is to have better community with my neighbors. 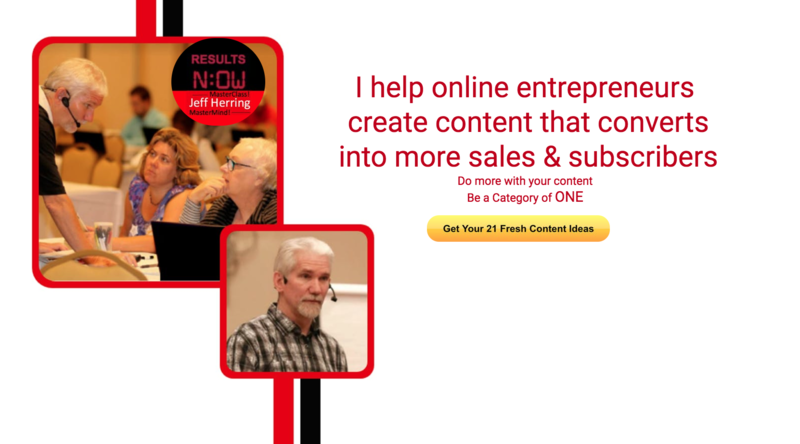 Hello Jeff, I am a newbie to Internet Marketing, but I have been enjoying your materials for the past week or so. I wish to Thank You for "The Gifts of More Lasting Value". They are both encouraging and inspirational. This article was certainly the Gift of Lots to Think About. I am truly grateful to be a part of several communities — from my church to my knitting club to all these internet classes and blogging and twittering. I am grateful for your reminder that rest is not laziness. The Gift of New Proficiency is my favorite. I love your classes and all the other teachers, but I am praying for a miracle that I will automatically understand the programing easily. I have been blessed with a truckload of the Gift of Encouragement and generously share that gift with others. I can work on understanding Perspective and seeing more Freedom in my life. Declutterization is in the eye of the beholder. I find I see so much beauty everywhere! Thank you for the gift of BYE. Looking forward to expanding and developing and truly making 2009 the Best Year Ever. Thanks for such a thought provoking post Jeff. I was drawn to your comments about integrity. One of the simplest, not necessarily easy, ways of approaching integrity is to keep your word. If one can keep their word, one is building a strong foundation for integrity. If one can not keep one's word, one can make a new promise to restore integrity. Making this practice a habit adds power and new meaning to the phrase, "He or she is as good as his or her word". Thanks for the Christmas post Jeff!